2017 Turbo championship of online poker is currently underway and result for event#19, #20 and #21 are out. Austria’s Thomas ‘WushuTM’ Muhlocker won event#19 for a total $47,950, while thehushpuppy of UK won event#20 for $62,401.90 and Canadian Purkenya won event#21 for over $21,906. Event#19 of the tournament was $82 buy-in No Limit Hold’em, Turbo, which attracted 5,167 (4,067 entries; 1,100 re-entries) and generated $387,525 as total prize pool. Top 620 places of the game took home some amount of money. The winner of the match decided after a thre way deal took place among top three remained players. The tournament was $82 buy-in No limit Omaha of (6 max, Hyper turbo), which received 799 entries from players of across the world and Europe. The total prize pool generated for the event was $62,401, which was distributed among top 95 positions. 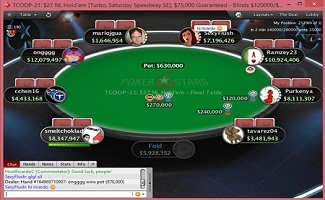 Event#21 attracted 6,278 players and generated $154,124 as total prize pool. The prize distributed among final 872 finishers. The game was $27 No Limit Hold’em Turbo Saturday Special edition of $75,000 Guaranteed. 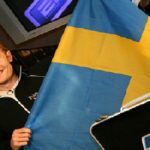 Sweden’s smeltchoklad was first man to got busted from the final table. 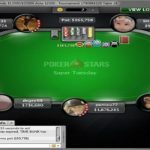 He collected $1,095 from the game for his ninth place, while either position goes to a pro poker player from Canada named cchen16 who made $1,592 from the game. 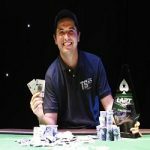 Brazil’s tavarez04 busted to fourth place for a total $2,315 and next to him was another Canadian player named chonseSTEE. 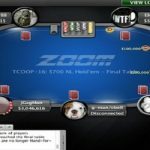 He moved out from the table for sixth place for a total winning share of $3,367.